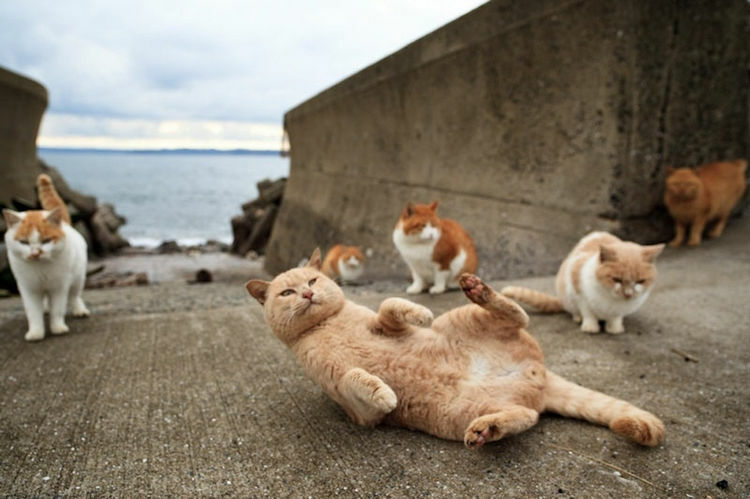 Fukuoka Island in Japan is a happy place for cats. 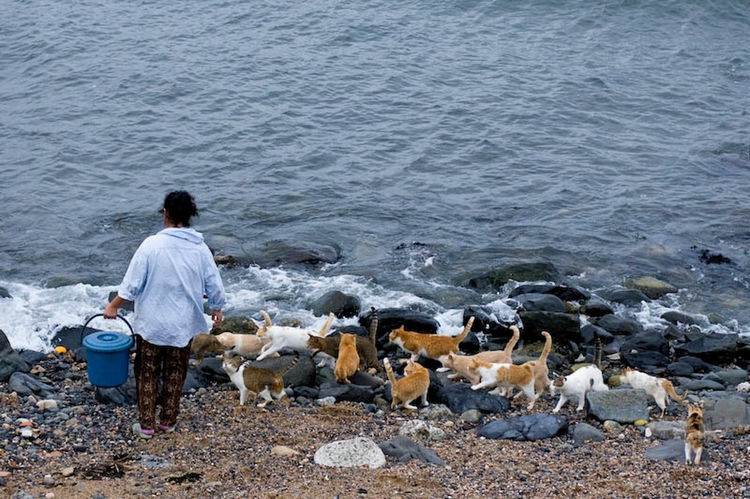 Referred to as a cat island, this heaven is a popular tourist attraction because of the large presence of stray cats. This has aided in improving the economy of the island. 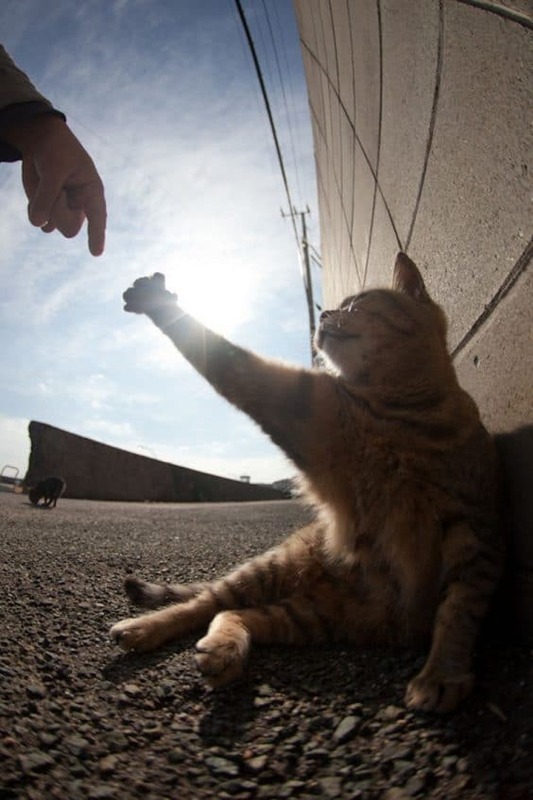 Photographer Fubirai has spent almost five years studying the lives of these stray cats that roam freely in the Fukuoka Island. The photos on his blog went viral on Buzzfeed in the year 2012. 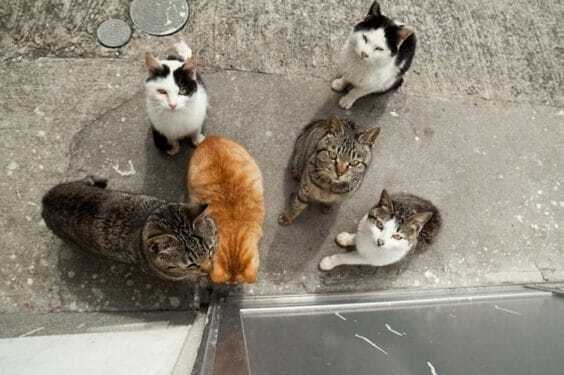 These stray cats roam freely on the wharf, streets, porches and houses on the island that the place has become an island for these little fur balls. 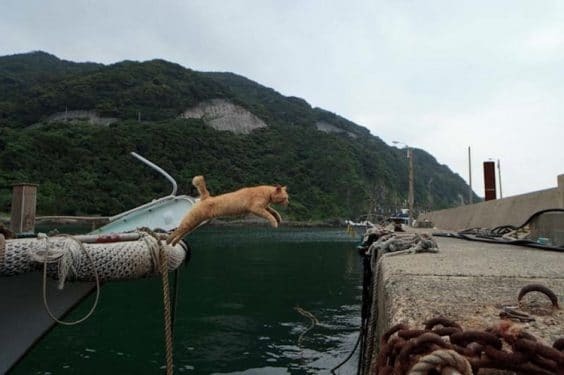 Cat heaven is an island 20 minutes from the Japan. The place can be accessed by a ferry. The island is very small measuring about 1 ¼ sq .km in size and inhabited by about 500 people. The main source of income for the people of this island is fishing. Where there is fish there is always cats roaming around. There are hundreds of cats moving around freely on this island. The cats found on the cat heaven are feral and stray type with strong qualities needed for survival in the tough island environment. 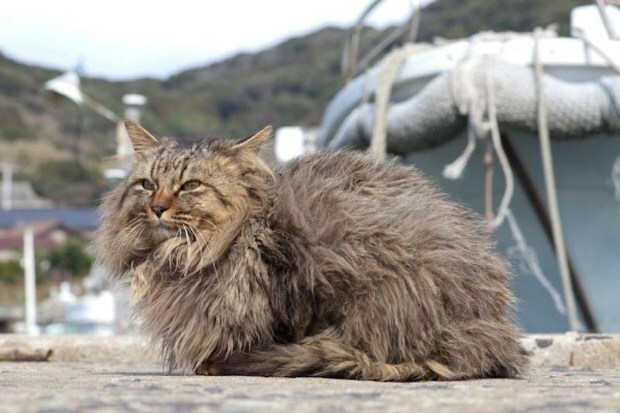 The cat island has thought a lot of things about this animal according to the scientists who have spend a lot of time researching on the behavior of these feral cats. The island is a tough place for survival and these feral cats have adapted well to the tough life of the island. 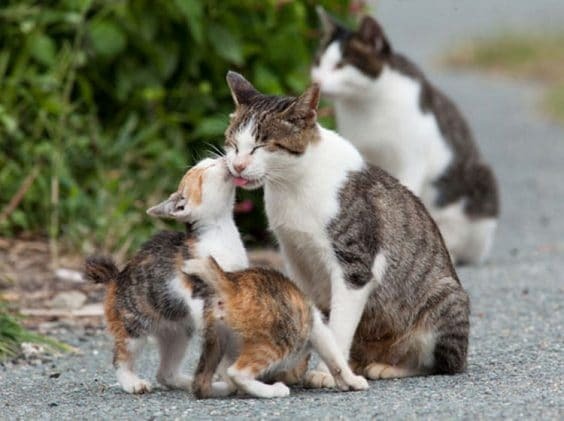 The feral cats of this cat island live for only 3-5 years compared to the domestic house cat that has a lifespan of 15 years or more. 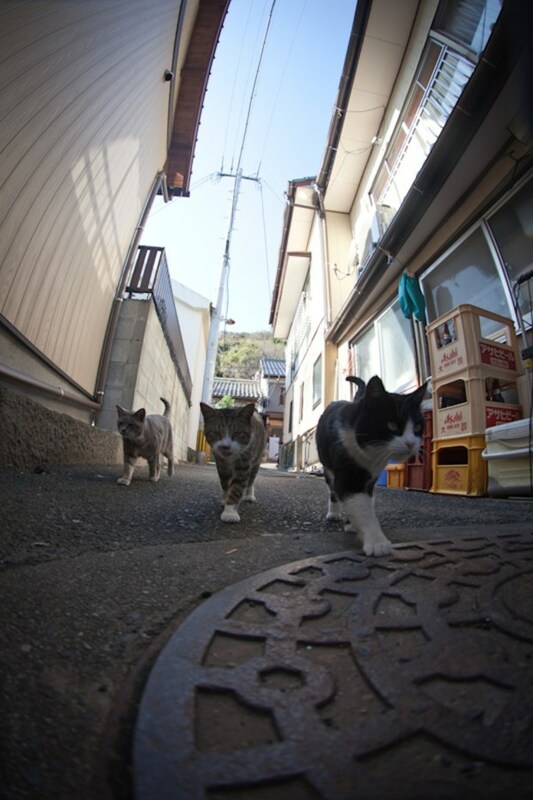 Akhihiro Yamane, a leading cat scientist has spent many years researching these cats in an area at the southern tip of the island where there are six garbage patches. Based on the ownership, cats here arrange themselves in groups and control the garbage patches. The hierarchy is strict. 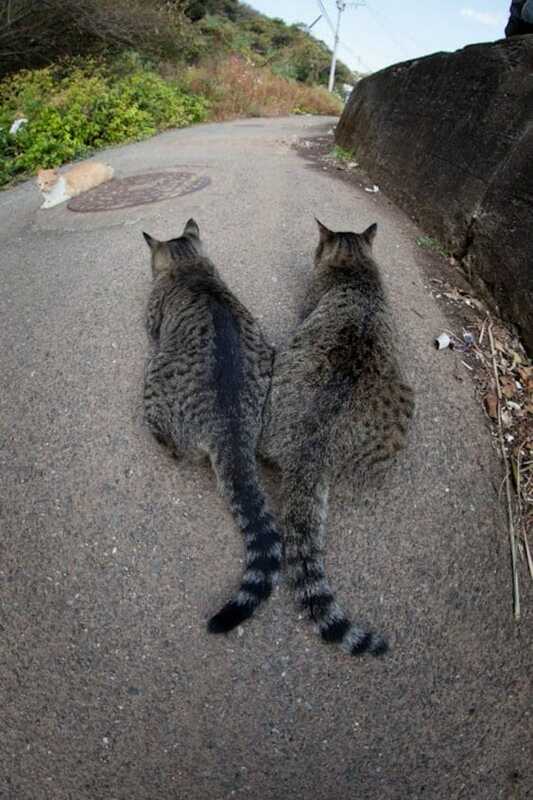 Male cats fight with their rivals to establish their dominance and to get access to the females during estrus. The healthy and stronger male succeeds and ensures good offspring’s. The heavier and stronger male has access to the females in the group. 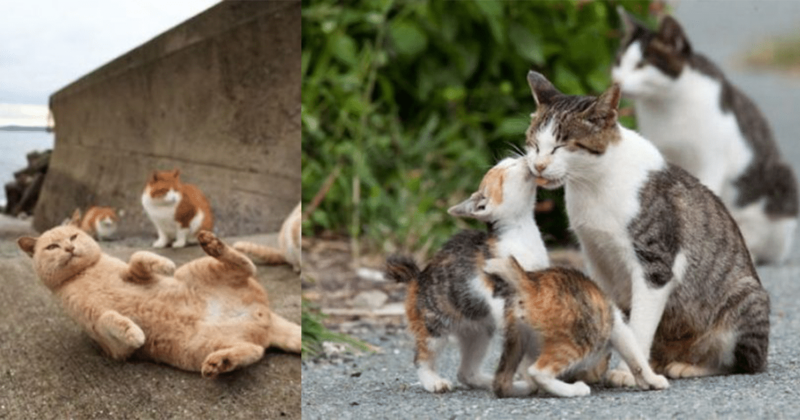 When Yamane took the DNA samples of the cats and kittens, he found that, despite the little copulation between the intruding females and males, there were very few kittens that had fathers that were outside the group than expected. Even though it is a male dominated society, females had more control over who fathered their kittens, which was quite a surprise. Yamane says, he has often seen the females run away from the dominant males while they were sleeping. Many a times, females have failed to escape because males have noticed them, though there were some successful attempts. Yamane feels this maybe done to reduce the side-effects of inbreeding. During his course of study, Yamane started developing a liking towards cats and he noticed that the life of feral cats is so different from that of a house cat. 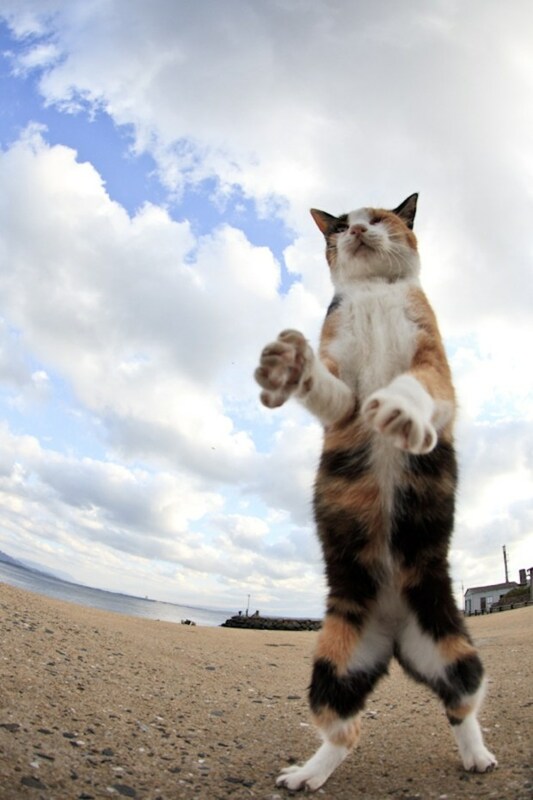 The cats at the cat island often gather and wait for the fishing boat to arrive with food. The tourists can enjoy this sight and also go sightseeing at the island port. The cats here are the ones that run the shore. 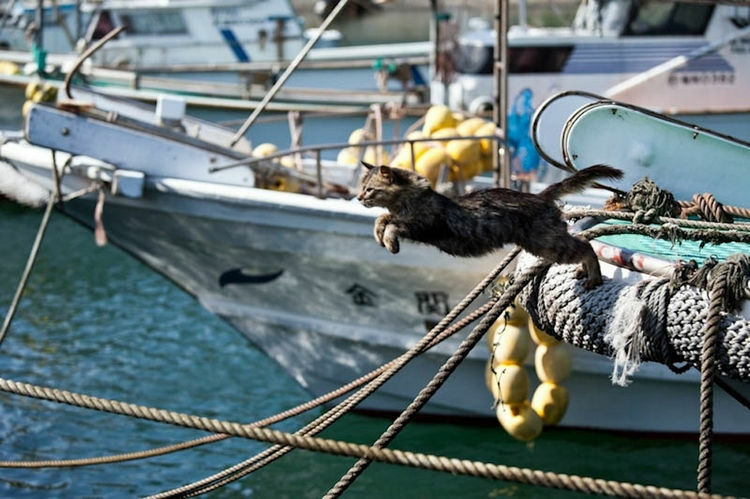 The cats here are almost like the family members of these fishermen. They are daily fed with fish and the fishermen here are often seen playing and cuddling them. They play with them whenever the cats demand playtime. 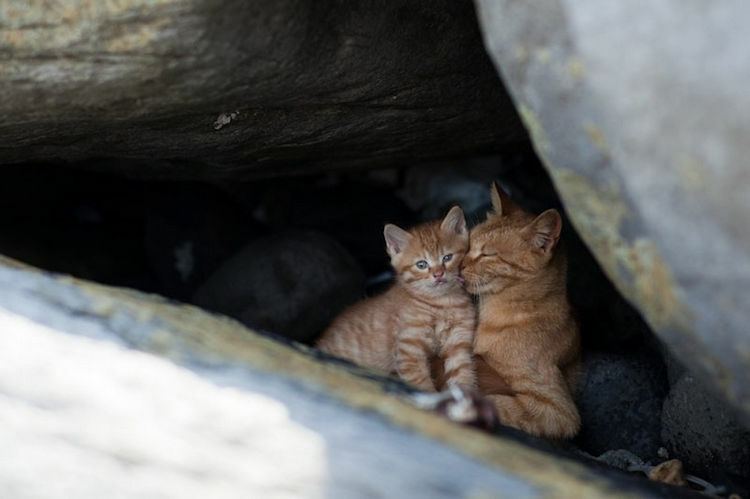 These island cats have a unique bonding with the fishermen family that they are seen playing and fishing with their children quite often. The locals here share their daily catch with the cats of the island and the cats seem to be very happy. Look how well-behaved they are and how patiently they wait for their turn. It is an amazing sight. 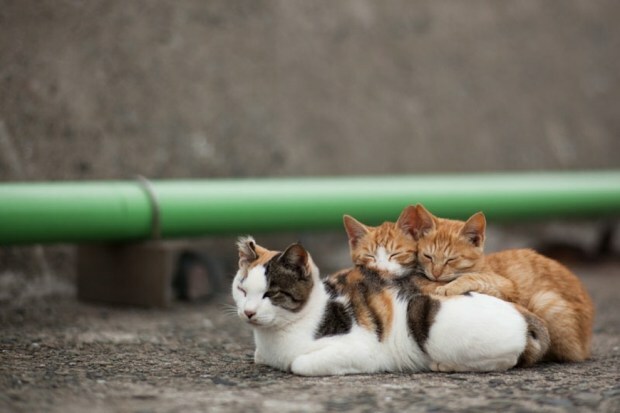 These countless number of cat families share a nice bond and even care for each other. Whenever these cats are hungry they throng the houses on the island and they never go empty-handed. They love the humans here and the same goes for the humans. The cats at the cat island love sharing the place with its residents. Moreover, why would you complain when you get abundant catch of fresh fish daily? 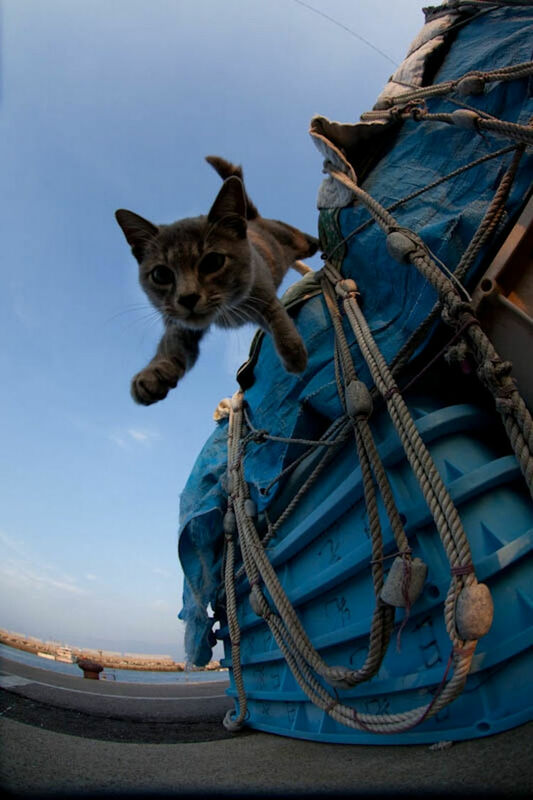 They are sometimes seen searching for any leftover fish on the fishing boat. 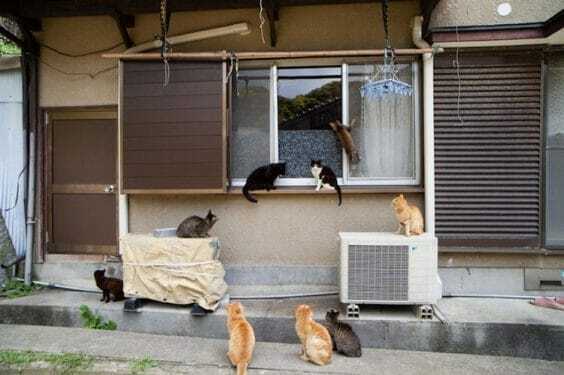 The residents of this cat island have respect for these cats and the cats in turn show their love and affection towards their human friend. Often, it is seen that when animals trespass into human territories there is always some conflict, but this theory has been proven wrong on this island. 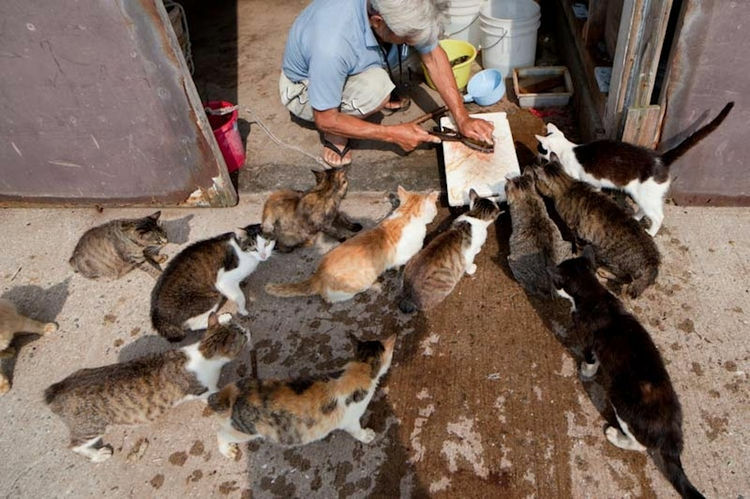 The residents, children and the cats of this cat island live in absolute harmony. The tourists coming to this cat island are eager to see hundreds of these cats and how human and cats have co-existed peacefully on this small island.